The butterfly is a positive symbol of transformative change in nature, from its previous life as a caterpillar. The proverb “vision is not seeing things as they are but as they will be” reminds us that understanding change is much more than a linear projection. Searching for a more sustainable lifestyle, Adam and Sian moved to the country and soon felt the need to create their own shelter. They lived in the back of a 1969 Bedford truck while saving money, collecting materials and working on the design before transforming it into a cosy home with help from friends. The house truck is comfortable and quite heavy, not designed to move on a whim. Living on wheels gives the empowering flexibility to move with changing circumstances. ‘A cosy home on wheels’ photo by Keren Dobia. 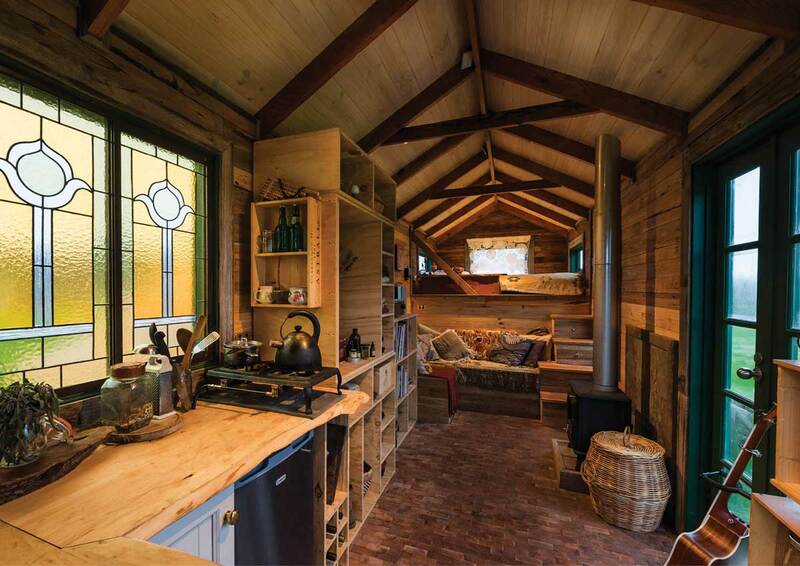 A tiny home built by Adam Hickman. 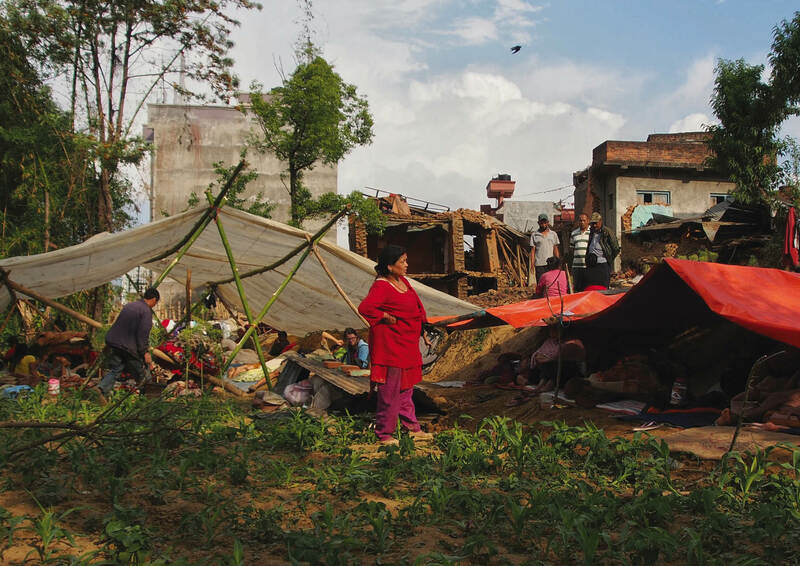 The devastating 7.8 magnitude earthquake near Kathmandu destroyed over half a million homes. It was four days before the first emergency services and supplies reached this village. Sanumaya Shrestha and her family supported dozens of people who fled their unsafe homes for weeks, using supplies and produce grown at Sunrise Farm. With donations and volunteer support they have repaired and rebuilt using improved techniques, further demonstrating the benefits of resilient design. Photo by Sebastien Brunel at Sunrise Farm in Nepal – a Permafund grant recipient. This tiny bungalow was once a run down shed. Rather than rebuild from scratch Kat and Nick reused the timber frame, packing it with a straw and clay mix then rendering with fermented earth plaster. 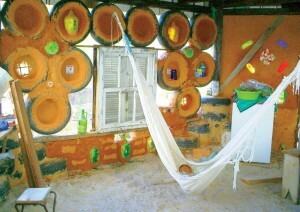 Creative use of glass bottles and refinished fence pailings for the ceiling beautify the space. 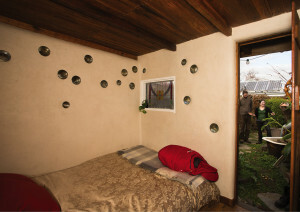 The extra room provides a space for WWOOFers who, along with their hosts, contribute to the thriving garden that makes the most of every part of this small urban property. It’s best to grow your own food or get some from someone you know nearby. 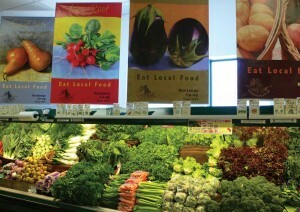 Failing that try a farmers market or a retailer you can trust. 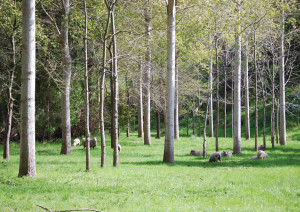 At CERES Organic Market produce is grown on-site and at their own nearby market gardens. 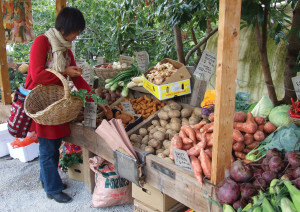 They purchase what they can’t grow from neighbours, local farmers, and to add variety, from the nearby wholesale market. 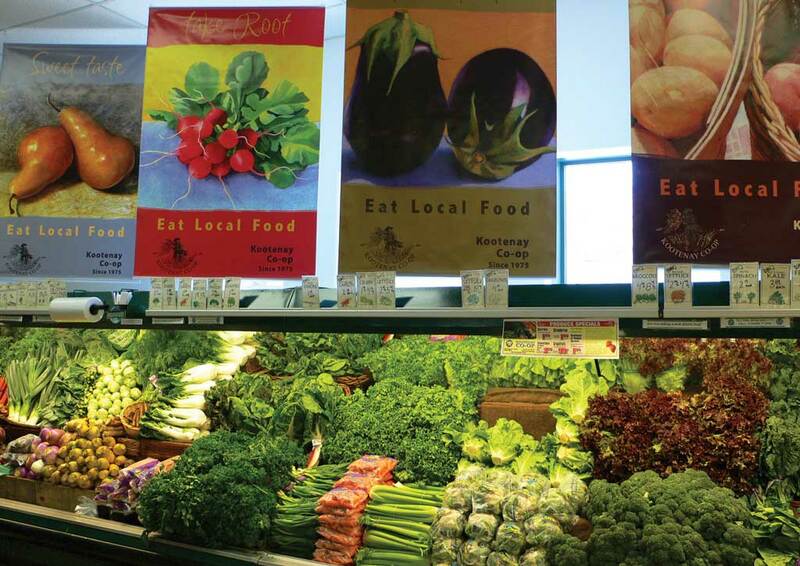 All produce is labelled showing the grower and the origin so the customer can make informed choices. An old tomatillo is found, it’s intricate outer case has begun decomposing but it’s contents are still edible. Daylesford Community Food Gardeners are at work compost building at their ‘annual food’ garden, one of the five around town. 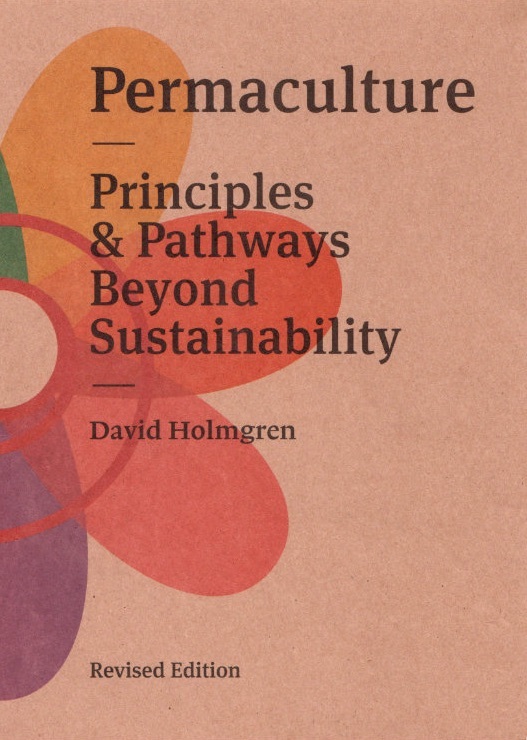 The group is establishing a food system enabling free, organic food in an era of increasing climate chaos, peak oil and dislocation from healthy foods and environments. 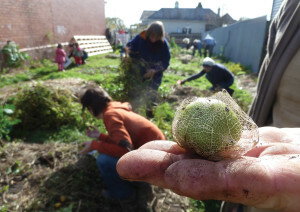 Community gardening, ‘social warming’ in an era of global warming. 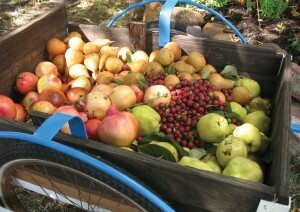 An autumn harvest selection of quince, pear, pomegranate and strawberry guava. As the seasons change so do the fruits we eat. With over 50 varieties of fruiting trees at Fair Harvest there’s something delicious to eat at all times of the year. 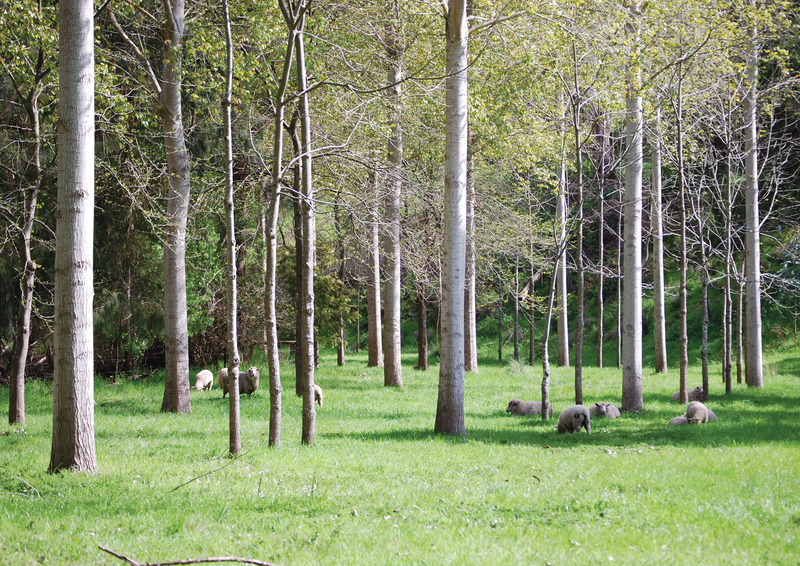 With climate change affecting us all in different ways it is wise to observe the performance of a diversity of species to discover plants that best respond to the changing conditions, spreading the risk of some failures each year. Each wall of this hexagonal home under construction is different, artistically designed and created from local natural and discarded materials. 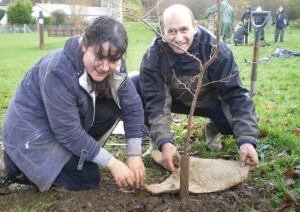 Juliano and Teresa ran out of money after completing the foundations. Creative thinking led them to use discarded tyres, bottles, salvaged timber and glass, bush poles, clay and sand. Commitment, enthusiasm, love, and community engagement enable Juliano and Teresa to achieve so much with great joy and little money. Photo contributed by Juliano Riciardi and was taken in Santa Catarina, Brazil. Photo and accompanying text contributed by Joel Catchlove.